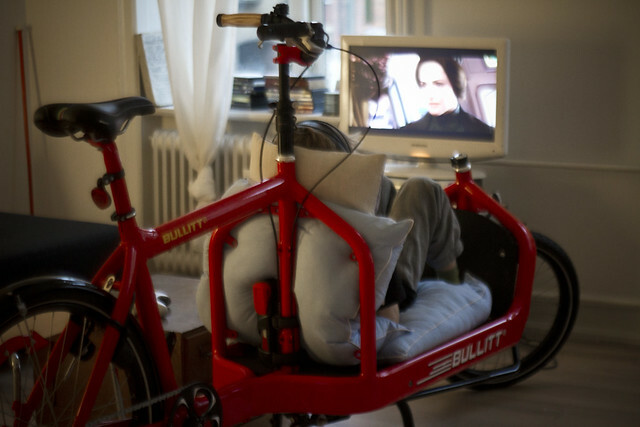 I have this Bullitt cargo bike parked in my living room and it took my kids 0.5 seconds to figure out that it can be used to watch films or play games on the XBox. Now we use it as a sofa slash chair slash jungle gym. Because this is quite possibly the coolest thing I've ever seen in the bicycle furnishing category. Fantastic! Why not just park the Bullitt outside, Mikael? Or is this your 'indoor' bike? He didn't get it back the second time, when it was locked outside on the street. oh man. the bathroom sink. i want. 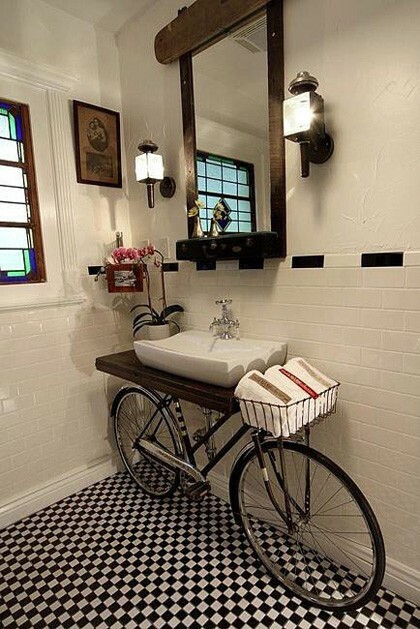 I second that thought and that bicycle-sink furniture is definitely the coolest thing I have come across so far. I guess it takes tough creativity juices in order for you to achieve such stunning masterpieces which are right underneath your noses all this time. If you look far enough, you can produce such beautiful results to suit your artistic preferences.